I'm fresh off my first out of state book tour stop—Seattle! I flew up to the Emerald City for an event at Book Larder, hosted with my friend and fellow author Megan Gordon (who writes the blog A Sweet Spoonful AND runs an amazing granola company, Marge). The last time I was on a plane was before my son was born, when we went to Kansas City for a wedding. I hadn't missed the recycled air and modest leg room, but it felt great to get out there again, officially, and do something just for me. I even managed to sleep in until 8:15 one morning. During my brief visit I explored downtown and a little bit of Ballard, aided in part by our very own Literary City Guide! Here are some of the other gems I discovered along the way. Ellenos | This stall at Pike's Place Market drew me in as soon as I discovered their homemade, not too tangy, not too sweet Greek yogurt was topped with passion fruit. There were plenty of other flavor options, too, but I hardly noticed. I should have gone back a second time to try them. Beecher's Handmade Cheese | Just down the street from Ellenos, this was the perfect spot to tuck into during a light drizzle and devour a paper bowl of tomato soup. Be sure to get it with curds and garlic croutons. The London Plane | This was a breakfast/brunch/lunch nook recommended by Reading My Tea Leaves, and it didn't disappoint. (Really, how could a spot that's half cafe and half flower shop disappoint?). It's located on the corner of a quiet little square, and the bar is an excellent place to linger and people watch. 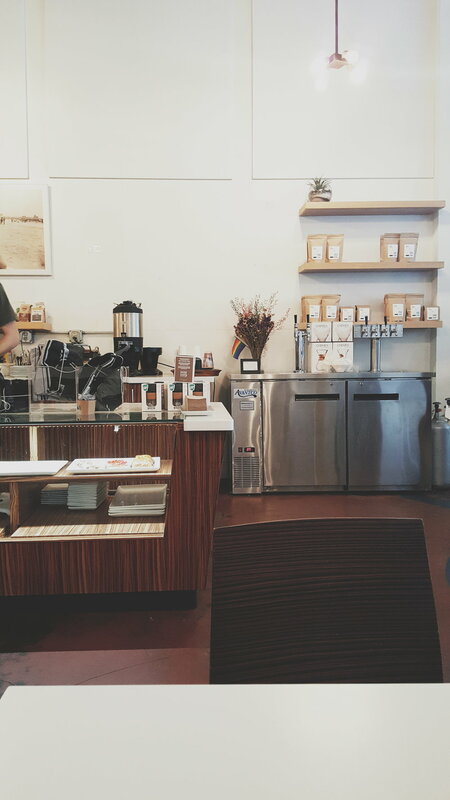 Slate Coffee Roasters | This was a must-stop on our Literary City Guides list, and my husband confirmed it when he was in town for a conference a few weeks ahead of me. I sipped a cup of tea and actually read a book, without interruption, for thirty minutes. The Dane | I can see why Ballard neighbors love The Dane—you can get coffee, beer, and ice cream all in one spacious, family-friendly location. Also, free wi-fi! I made the mistake of sitting next to the children's bookshelf, which was darling but also a little distracting. Otherwise, it's definitely the kind of place I could easily sit and write in all afternoon. 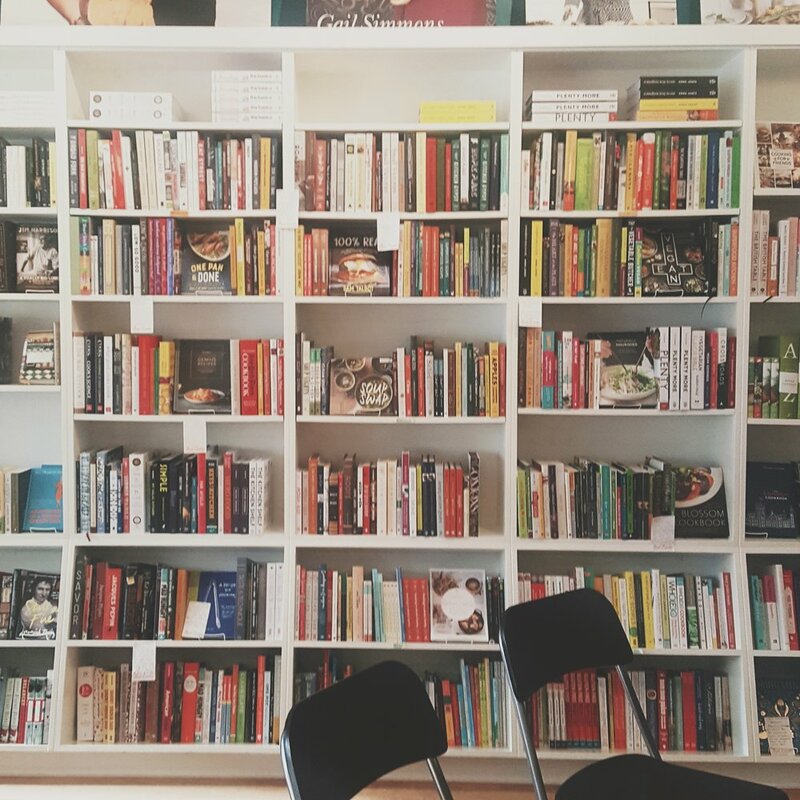 Book Larder | This cozy cookbook-only shop is a neighborhood gem. 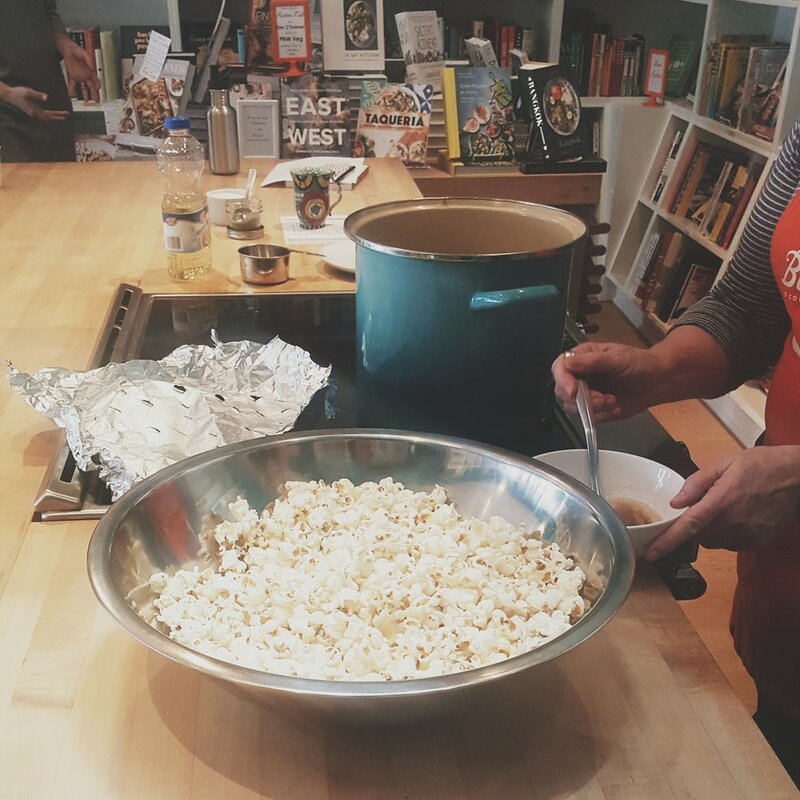 They hosted my author talk, where we ate popcorn, talked about writing and creativity, and were just the most wonderful hosts. Please stop in and buy books if you're in the neighborhood. Delancey | My trip to Seattle wouldn't have been complete without a pilgrimage to Delancey for pizza. 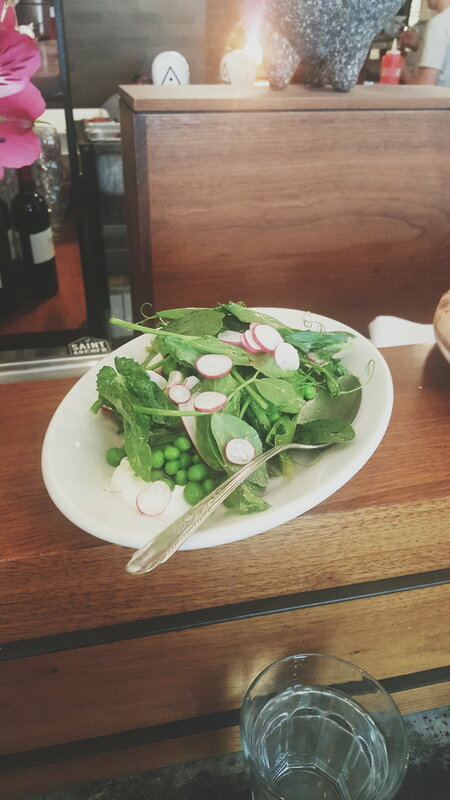 I enjoyed a glass of rose, a springy salad with fava beans and asparagus, and a flavorful pie with a friend. It doesn't get much better than that! Waterfall Garden Park | One of the wonderful things about walking around a new city is you always discover something unexpected. I stumbled into this small garden just off Pioneer square, and it was a tranquil place to sit for a few minutes and just listen to the sound of the water rushing by. Seattle Public Library | I made my way inside the doors just as a passing rainstorm started. This 10-story building downtown is a real gem, with lots of places to read and write across multiple floors.